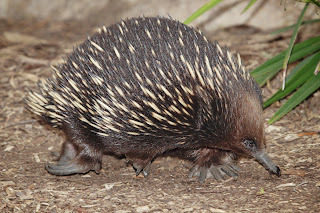 Animal Wildlife | Echidna | Echidnas are known better as spiny anteaters, although they are not related to them, besides that fact that both anteaters and echidnas eat ants and termites. The echidna is found in parts of New Guinea and Australia. The echidna has a long tongue around 18cm long that can whip in and out of its mouth at incredible speeds. This helps the echidna to forage for ants an termites. The echidna was named after a monster in Greek mythology! The echidna can dig incredibly well due to its long claws, meaning that echidna are able to escape danger by digging straight down. 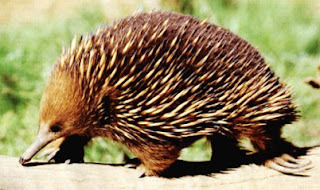 The echidna is a small mammal and the echidna has a long snout that acts as both the mouth and nose of the echidna. The echidna has no teeth and the echidna feeds by tearing soft logs apart and then using its long, sticky tongue to feed on the ants and termites that inhabit the log. 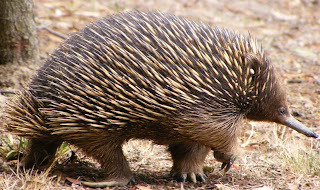 The echidna is a very special mammal and, along with the platypus, the echidna is the only other egg-laying mammal in the world. 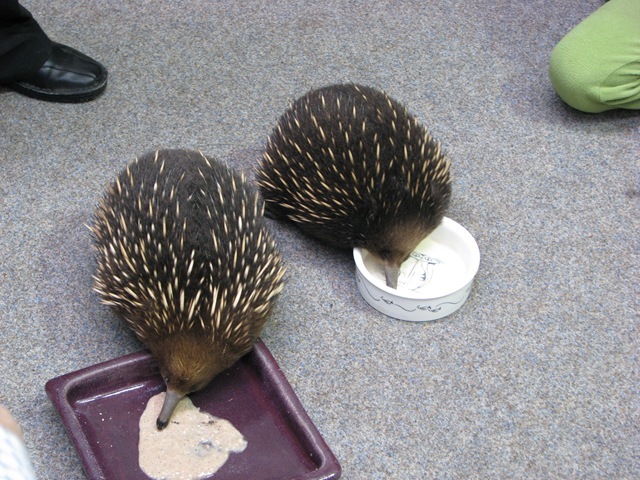 The echidna lays eggs that have a soft shell and are kept in the pouch of the female echidna until the eggs hatch in a couple of weeks. The young echidna remains in the pouch of the female echidna for around 50 weeks, when the baby echidna has grown spikes. 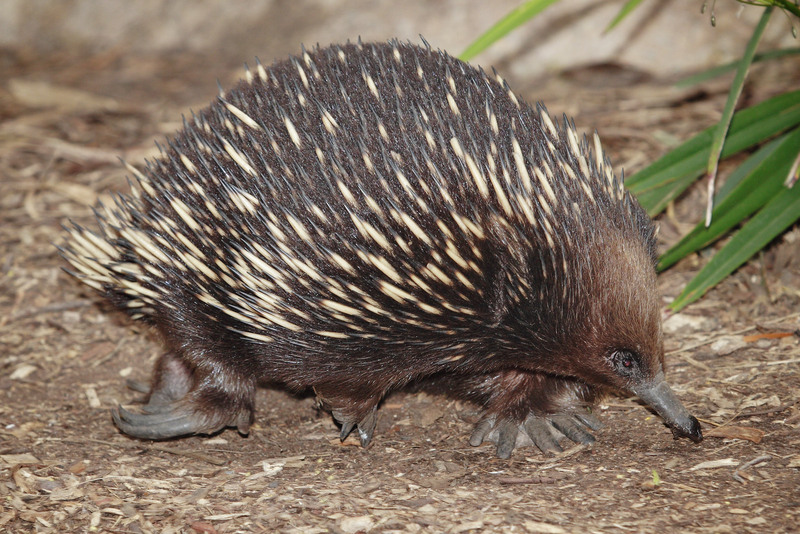 The mother echidna then transfers the young echidna to a nursery burrow and returns every few days to feed the baby until it is around seven months old.